When Abraham left his home in Chaldea (now Turkey) with his family and flock of sheep 4,000 years ago, traveling south towards what would eventually become the site of his tomb near Hebron in Palestine, he did not speak Arabic. He did not know the peoples and conditions ahead of him. He entered a world of strangers speaking a different language and living different customs. Yet, as he walked, he met with hospitality from the people. The welcomes continued as he traveled further south. Scholars do not all agree but many people believe that Abraham’s walk and his warm reception by the people he encountered initiated the tradition of walking and hospitality towards strangers. 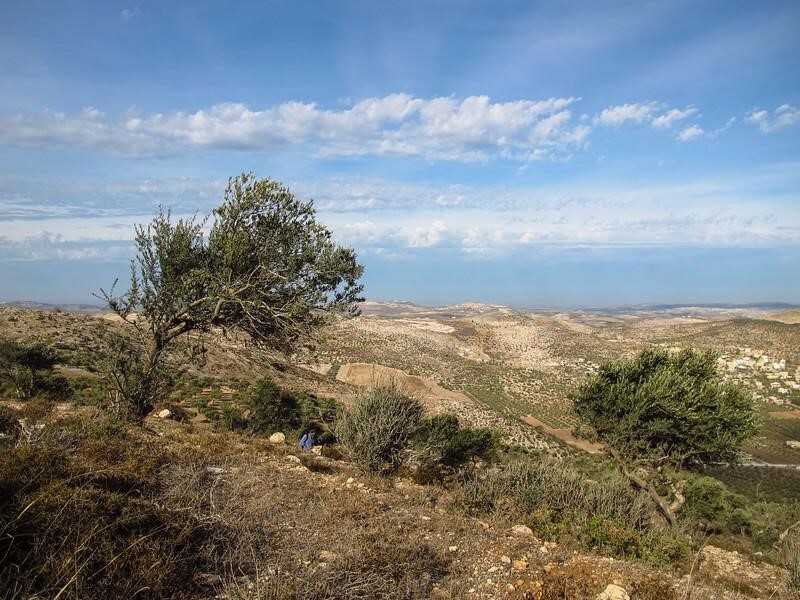 That tradition is now being given new life as a tourist and hiking path, “Abraham’s Path”, a route that re-traces Abraham’s footsteps from southern Turkey through Jordan, Palestine, the Negev, and into Egypt. The Rozana Association is responsible for that section from west of Jenin to south of the Sanctuary of Abraham (“al-Haram al-Ibrahim”) in the city of Hebron. The distinctive Arabic title – “Masar Ibrahim al-Khalil” – that Rozana has given to this part of the walk differentiates it from the Turkish-speaking and Hebrew-speaking sections on either end and implants a Palestinian brand on this section of the path. Palestinian customs, foods and music will greet a traveler here. Yet the Abrahamic tradition continues. Walking and hospitality to strangers are part of the Palestinian heritage, traditions that are now incorporated into a trans-national idea just as the “Masar Ibrahim al-Khalil” brand is now an integral part of the Abraham Path concept.